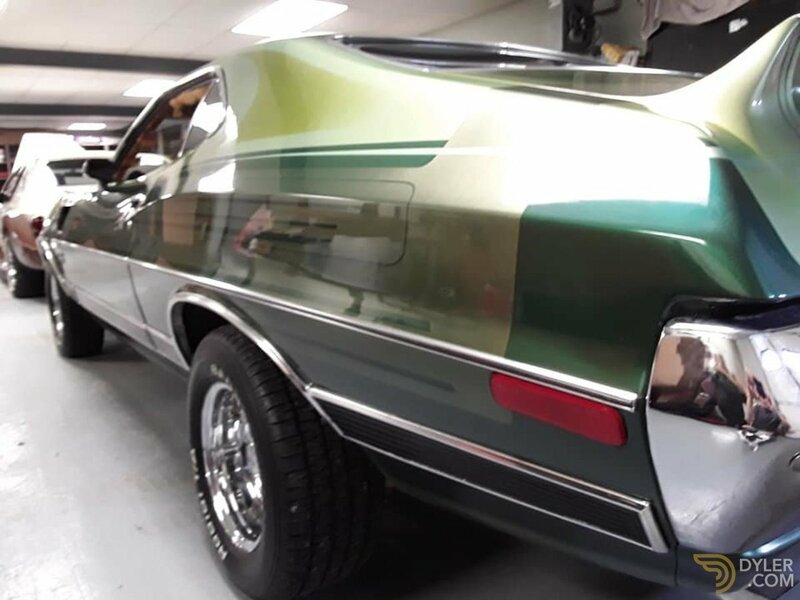 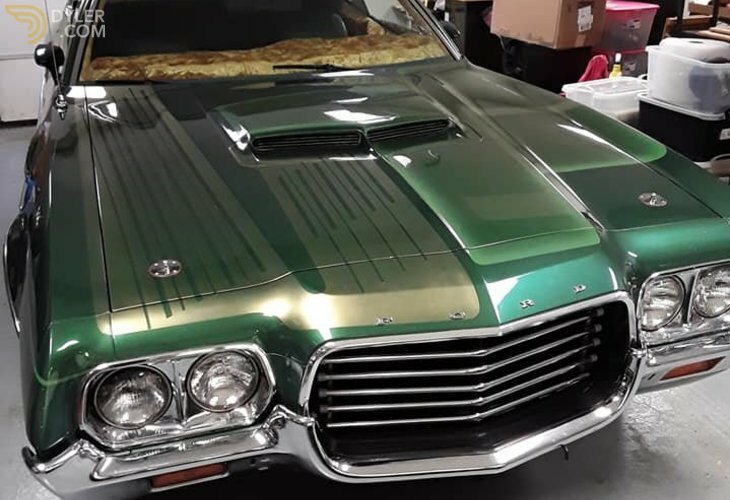 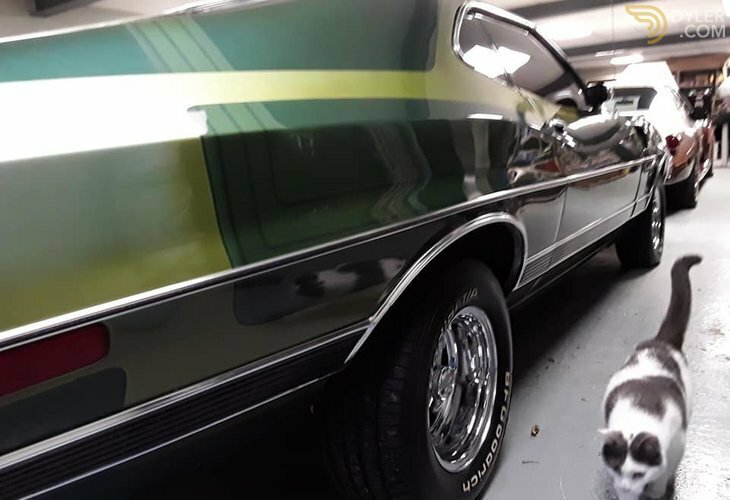 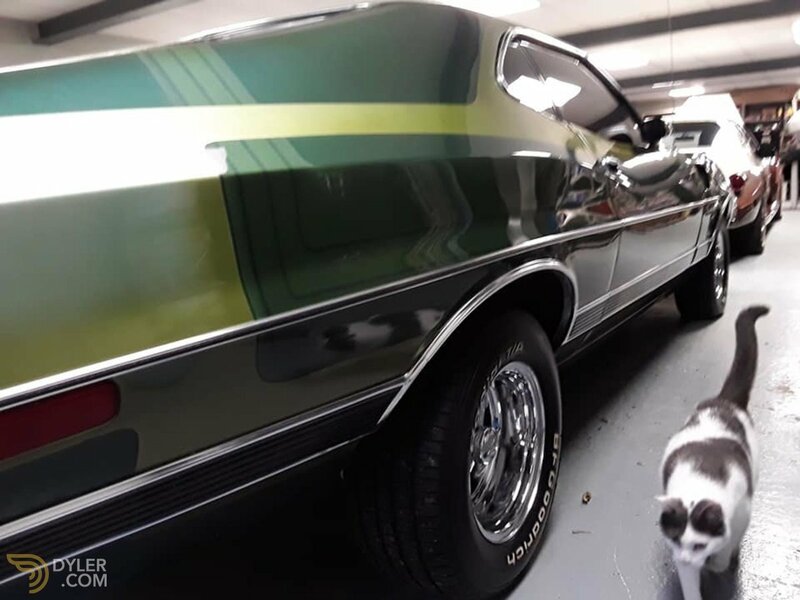 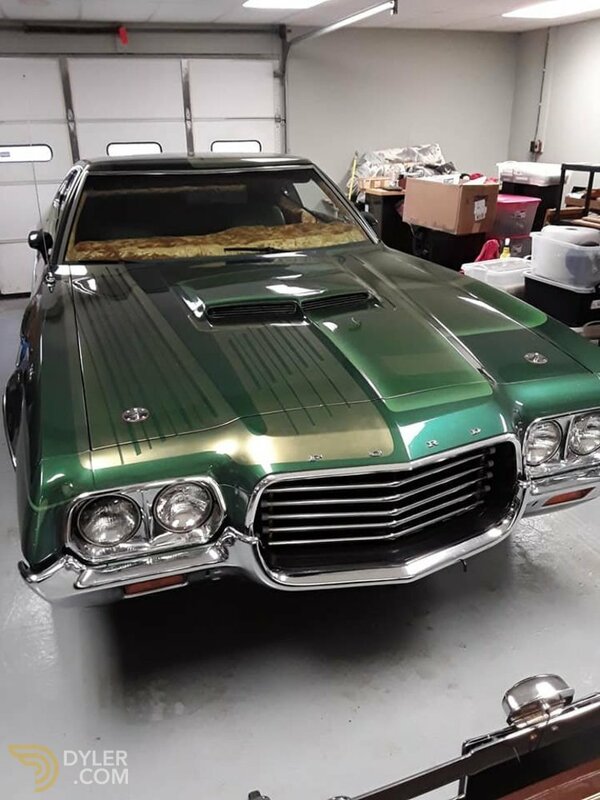 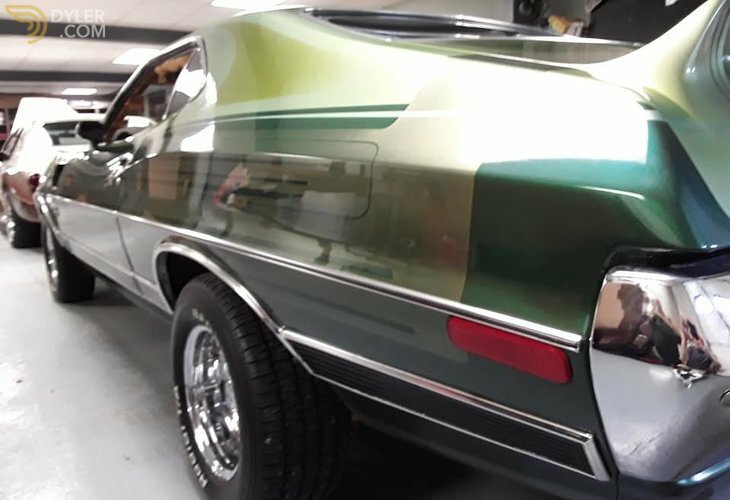 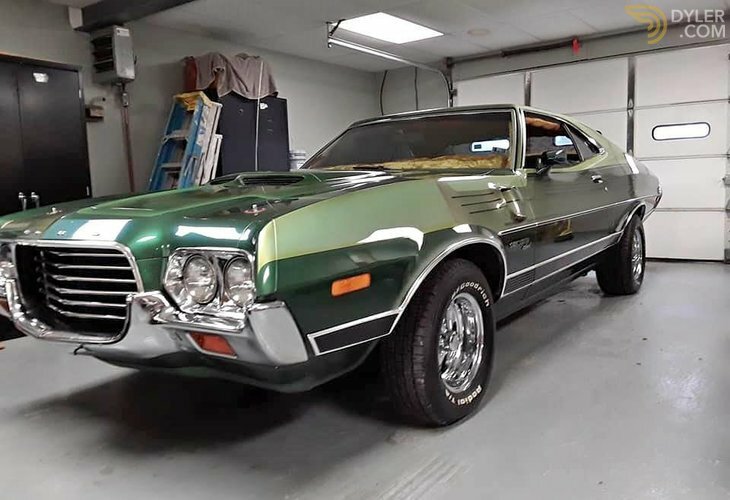 This Gran Torino looks absolutely stunning in green, the lines are as straight as an arrow and the chrome is quite impressive. 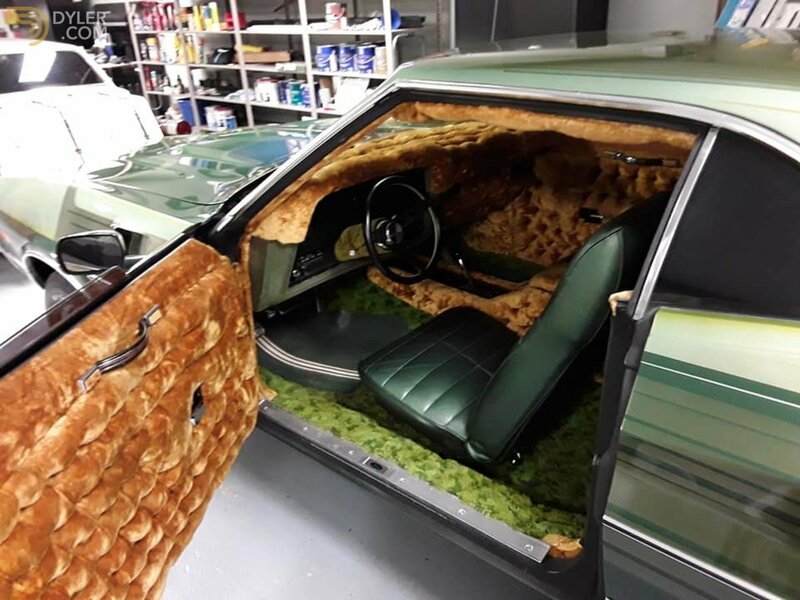 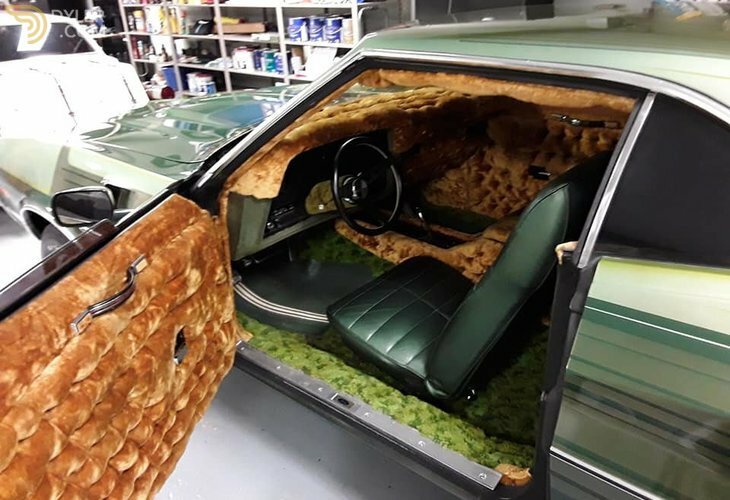 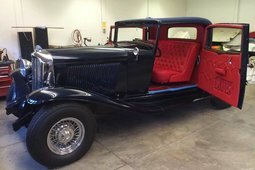 The interior is a one off velour that will give you a unique look that will bring you and your passengers back in time. 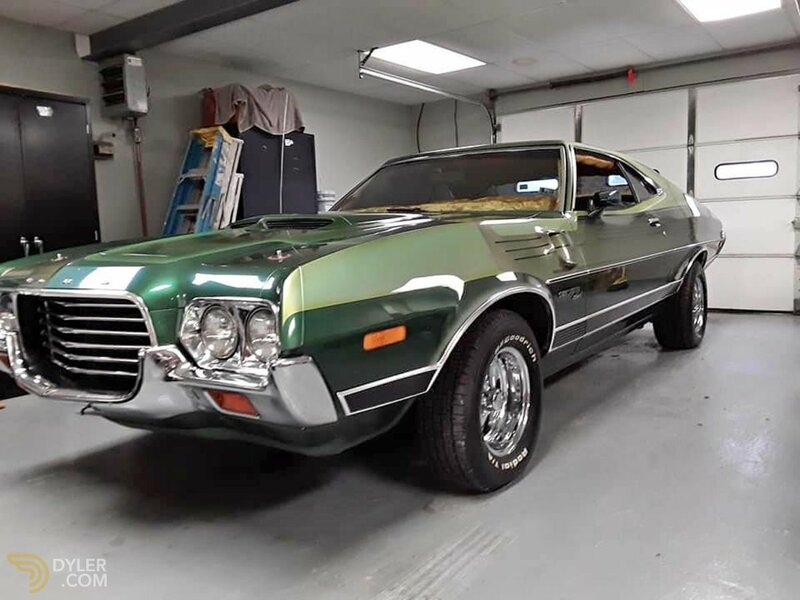 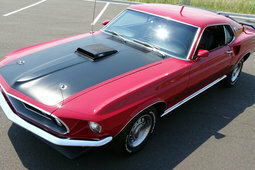 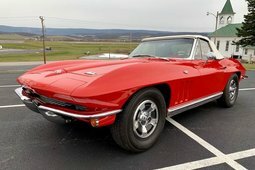 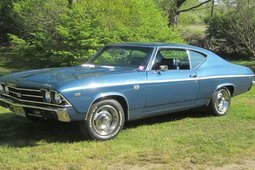 The vehicle is powered by the number's matching 351cu v8 cobra jet and a C-6 automatic transmission, with only 8k on the build you won't have much to worry about when it comes to reliability or performance. 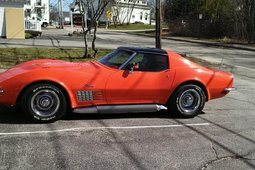 Equipped options include but are not limited to P/w, P/s, P/b, am/fm, heat, new tires, and a new fuel tank. 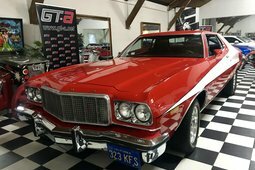 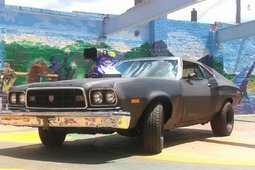 This Gran Torino has been meticulously maintained and garage kept. 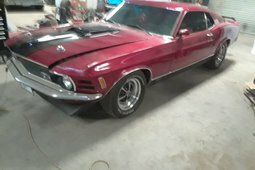 The oil has just been changed and its ready for a new home.